Not sure what door configuration? Click here to learn more or one of our specialists will contact you to help if required. Ordered these doors for the price, was very pleased with the good quality and finish, I originally ordered the wrong side opening, customer service were great and changed them asap. I was a bit unsure about using these as they were so cheap but I had no need for concern, the customer service was outstanding and answered my many questions, and the doors are top quality. I would definitely use flying door again. 12ft Bi fold doors I just want to let you guys know I have recieved and fitted the 12ft bifolds supplied. Everything about the ordering process from the lovely lass on the phone to the delvery guys was spot on 5 star all the way. As for the doors, the quality and value for money is fantastic. I spent 3 months reasearching various companies, door specs and delivery lead times and on all asoects flying doors cannot be bettered. Indeed Four seperate people including 2 window companies have asked for your details which I have gladly passed on, with a full blooded Yorshire mans endorsment. You know what they say "If a Yorkshireman says it'll do you know there's nowt better". incredible value for money, glass pane was smashed on arrival. replacement was sent quickly but a pain nonetheless. The customer service I received from Flying Doors was excellent. uPVC are not as high quality as Aluminium but the value is incredible. Not one single complaint, everything perfect! 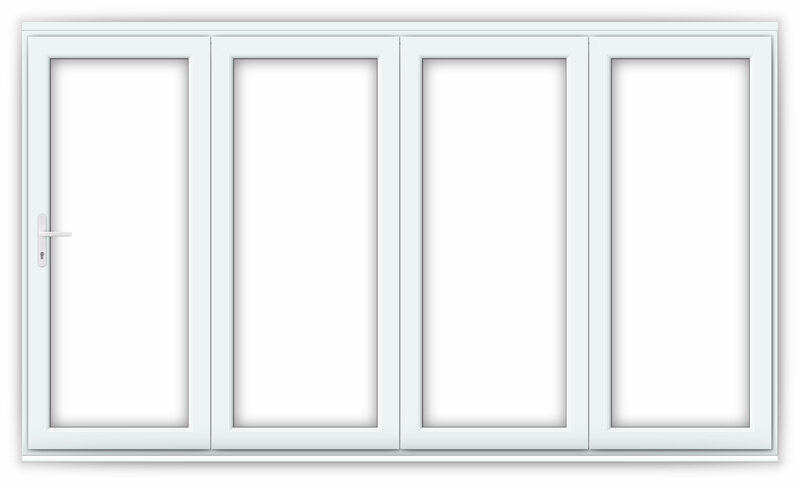 Bought some 12ft bifolding doors and a 6ft french door, both in white upvc with chrome handles. Look great, fitted by local fitter with no problems. Cheers. Cheaper than most, incredible quality and customer service. My husband is terrible at DIY and he had no problem installing these doors at all. They are huge and weigh an absolute tonne but the delivery team were very helpful in place the doors in the extension ready to fit. Something to note, we had to buy screws and sealant such from B&Q because they come with absolutely everything else except those. Thanks!! These doors are amazing! There's nothing like opening all them the whol eway out I can't wait for the summer!